On both New and Old Construction. 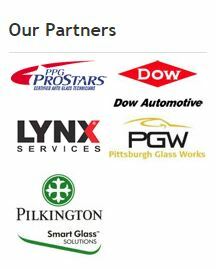 Auto Glass, Residential and Commercial Glass in Saint Louis. When you find a window broken in your vehicle, residential property, or	commercial building, it will likely cause quite a bit of stress. In addition	to worrying about the heat or air conditioning escaping because of the	shattered glass, you may also be concerned about your belongings being	stolen. We understand that the thought of leaving your home, vehicle,	or business unattended with a broken window can be troublesome, and you	would want it fixed right away. Here at Consumer Glass, we offer	top-notch repair services to customers like yourself throughout St. Charles, O’Fallon, Chesterfield,	St. Louis, and the surrounding areas. Please feel free to browse our informative	website or call us at (636) 397-6800 for more detailed information! We average two decades of experience per employee! Besides burglary and the loss of energy through the broken window, there	is the chance that sun and rain can damage your belongings or the interior	of your car. Fortunately, our competent team is experienced in the rapid	repair of damaged glass, ensuring that	the job is completed safely and as quickly as possible. Our employees average more than 20 years of industry experience and are	extremely professional in their work. We know that as our customer, your needs are unique and therefore we have	made it our priority to meet with you individually so we can learn how	to help you efficiently. A member from our team is always available to	assist you by answering any questions that you may have or to provide	you with more detailed information. We would be very happy to offer you a	complimentary, obligation-free quote on our services when you	call our office directly at (636) 397-6800!